It was rare for me to get downtime at twentysix for proactive work, but not as rare as the critically endangered Amur Leopard, Mountain Gorilla or Black Rhino. When some free time did eventually come around, it was for an interactive showcase of these three species I was able to use it for. The idea was to create an immersive and thought provoking experience on these soon to vanish species. The initial idea started when a colleague and I were discussing the possibilities of using google maps to allow you to guess the amount in which animal habitats had diminished over time. 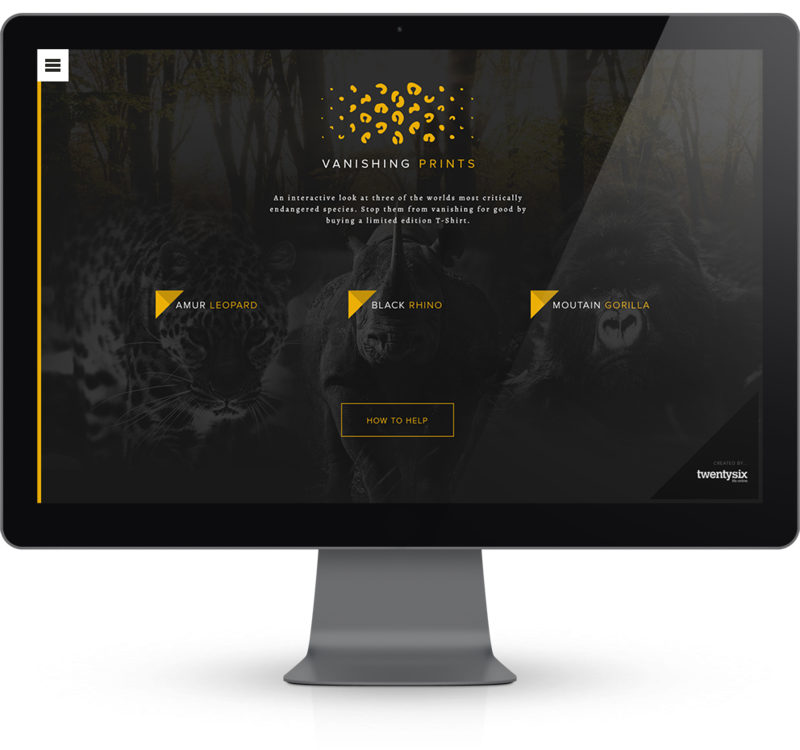 I expanded upon this idea to create a well thought out concept called Vanishing Prints. This not for profit site is a platform to learn about these beautiful animals and the disastrous impact mankind is having to their plight. Users can then buy a custom T-shirt featuring one of the three animals with the stock levels of each T-shirt matching the estimated population of each animal.